Style and substance cross paths in Sony’s newest Vaio laptop, the Sony Vaio W. Here we have a mini notebook that looks just as great as it performs. Light as a feather, the Vaio W tips the scales at a mere 2.62 pounds, perfect for individuals who are always on the go. It’s a laptop that you wouldn’t mind showing off to friends as well, with its sleek curvatures and eye-catching polish. 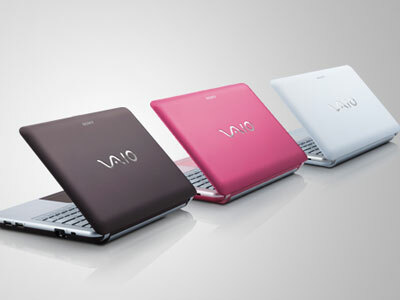 Available in pink, brown and white colors, the Vaio W, like many of the other Vaio models, gives high regard for your personalized needs.